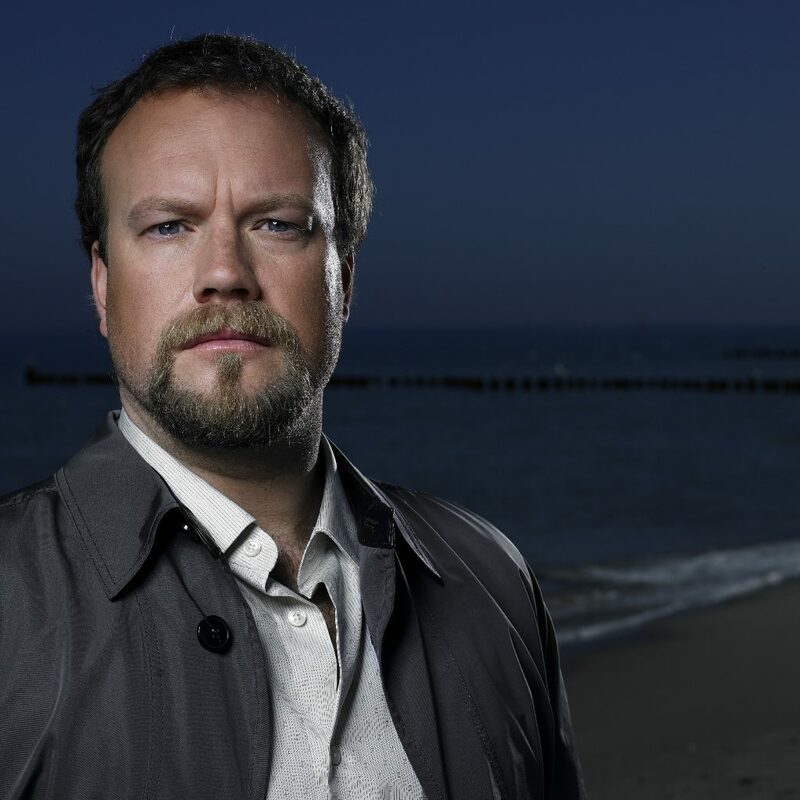 Baritone Johan Reuter who portrayed Wozzeck with the Philharmonia in LA. Courtesy of MSM Music Ltd.
With the advent of Regietheatre — and even before that, or so it seems to me — staged opera productions of major operatic masterpieces have confronted us with so many visual distractions that it becomes virtually impossible to listen to the music — and by that I mean specifically the music being played in the orchestra. Alban Berg’s Wozzeck, not everybody’s cup of tea I am aware, seems particularly vulnerable to this problem — but let us not forget that poor old Wagner today is always competing with the staging of some self-important director who hijacks the piece for his own malicious pleasure. The LA Opera’s disastrous Achim Freyer ‘Ring Cycle’ (“a garish piece of performance art with incidental music by Wagner” as I have called it) is a perfect case in point. In this expensively self-indulgent production which virtually broke the budget of the LA Opera, the stage action, packed with half-baked Jungian symbolism, had almost nothing to do whatsoever with the composer’s intentions. Yes, I am aware that Freyer’s ‘Ring’ has its powerful advocates, among them Mark Swed of the Los Angeles Times, but for me Freyer’s puppet show of so-called Brechtian alienation was the last thing an emotionally profound composer like Wagner needs. Wagner never wished to alienate but to draw his audience into his creations. So, thank God for concert performances of opera like the one heard last night in Disney Hall, with the U.K.’s superb Philharmonia under the direction of the brilliant Esa-Pekka Salonen. Among my many experiences of Berg’s masterpiece, I have seen two superb staged presentations of Wozzeck in my life, both in Santa Fe (and both utilizing the same production — that is to say, sets and costumes and director’s concept), but very often the opera’s magnificent orchestral score is overwhelmed by everything else. In San Diego, Berg’s all-important between-scene transitions were destroyed as the elaborately clever and clumsy sets were noisily moved about. In Barcelona, the egregious Calixto Bieito placed the action in a gigantic factory and utterly obfuscated the play’s action. It’s a special thrill, then, for Berg’s incredible score to get its moment in the sun. Frankly, Wozzeck is a very tough musical experience for anyone hearing it for the first time. Each scene is composed within a rigidly neoclassical framework (sonata form, passacaglia, waltz, march, theme and variations, etc. ), and a concert performance helps one become more aware of these structures — as well as of the abundant use of leitmotivs and musical onomonopoia, sounds that portray things. It is certainly true, however, that when the opera is well staged, the listener can largely ignore these things and become lost in the drama. I find Wozzeck a terribly sympathetic character. He is ruthlessly maniuplated, mocked and ridiculed by everyone. The opera, based on an 1837 play by Georg Bückner, is one of the great works about alienation and madness. 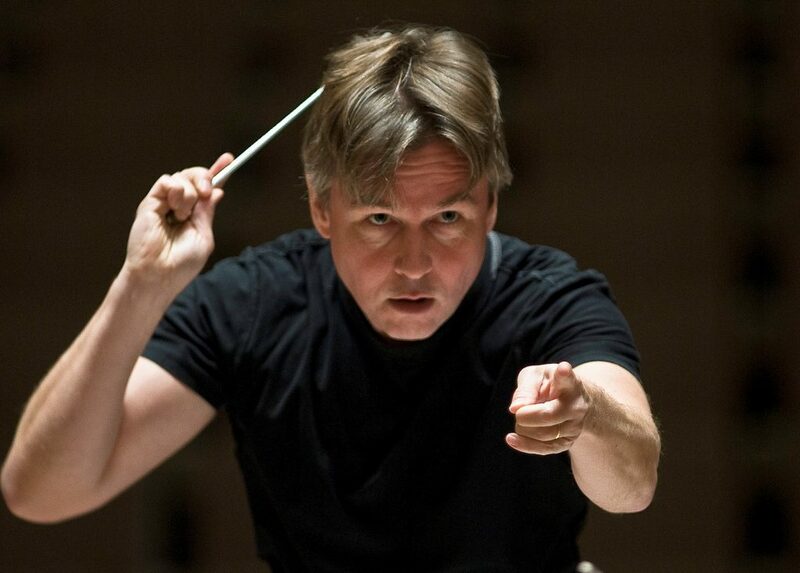 Esa-Pekka Salonen, who has known and loved this score from the very start of his career, is certainly the ideal conductor, and it seems Britain’s august Philharmonia is the ideal orchestra. Tuesday’s single performance offering (attended by a remarkably attentive and appreciative audience in Disney Hall) was a thrill I will long remember. Last night (Thursday, November 15) here in San Diego, the same conductor and orchestra doubled the not-to-be forgotten thrills with a flawless Mahler Ninth here in Copley Symphony Hall, but that is another story — certainly one of the greatest Mahler performances I have ever heard. The cast (listed below) was uniformly excellent and moved about the apron of the stage freely, and they seemingly had invented their own ideas of what to do. No director’s concept intruded. There were no chairs, no music stands and no bottles of water — and all the men wore basic black. Only Kevin Burdette, who was superb as the demented Doctor who uses Wozzeck for his experiments, was partially burdened with carrying his score around; he was a last-minute replacement. Dutch baritone Johan Reuter sang the title role of the poor tormented soldier with a very special beauty of tone and sensitivity to the text, a criticism that might also apply to German soprano Angela Denoke as Wozzeck’s unfaithful but deeply religious wife, Marie. The part of Marie is a voice killer, but she managed it with ease and generated tremendous sympathy for her character. And Reuter really is ideal the ideal singer/actor for the part of the long-suffering, delusional and ultimately murderous Wozzeck. Left to his own devices as an actor and singer, he was more interesting to watch and listen to than almost any other singer I have heard in this role. The part of Wozzeck’s friend, Andres was given a spirited interpretation by lyric tenor Joshua Ellicott, and I thought that “buffo” tenor Peter Hoare was especially good as the annoying Captain, another one of Wozzeck’s nagging headaches. Anyone would go mad and want to murder someone with these characters around. Really, the Drum Major, wonderfully impersonated and sung by tenor Hubert Francis, should be the one that gets killed — but, no. It’s poor Marie that gets it as the moon turns blood red and Wozzeck wanders off into the swamp to drown whilst trying to retrieve the murder weapon. Mezzo-soprano Anna Burford was both voluptuous and scary as Margaret whose observations about blood are chilling in Berg’s treatment. Tenor Harry Nicoll also chilled one’s spine as the Idiot, the perfect fillip to the expressionistic mix of horror. And — oh that orchestra and that conductor. Passionate, polished — overwhelming. Notable and surprising offstage contributions were made by members of the UC Berkeley Symphony Orchestra (David Milnes, director), and various chorus duties were expertly performed by the UC Berkeley Chamber Chorus (Marika Kuzma, director) and members of Piedmont East Bay Children’s Choir, Robert Geary, director. And so — Disney Hall’s “opera season” continues to top what’s going on at the LA Opera next door! Esa-Pekka Salonen. Photo by Clive Barda.